How Can I Find Low Cost Management Training? In a tight economy, training budgets can be among the first casualties. That leaves learning opportunities limited for many managers or aspiring managers. 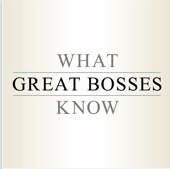 I suspect it's among the key reasons we've had over 9 million downloads of the "What Great Bosses Know" podcasts since I began posting them to iTunes U in 2010. Interestingly, the stats we receive on those downloads indicate that the podcast listeners come from across the world. In fact, only about half of the downloads come from the United States. Clearly, the desire to be a great boss is universal! The practical topics. I share tips about issues that managers face each day. The brevity. Typical episodes run between 3 and 5 minutes. I've been told by listeners that I often ride to work with them in their cars, or jog along with them on a run. The concise episodes work well for busy people. The optimistic but realistic advice. I think management can be a challenging, frustrating and often lonely endeavor. But because I also believe management can be an absolutely joyful mission as leaders help others do their best work. This is a link to the podcast library on iTunes U. 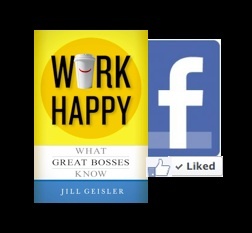 It was the success of the podcasts that persuaded me to build on them and develop the book, "WORK HAPPY: WHAT GREAT BOSSES KNOW." It has become a management training guide for individuals and teams in such diverse areas as medicine, municipal management, libraries, IT, and media organizations! 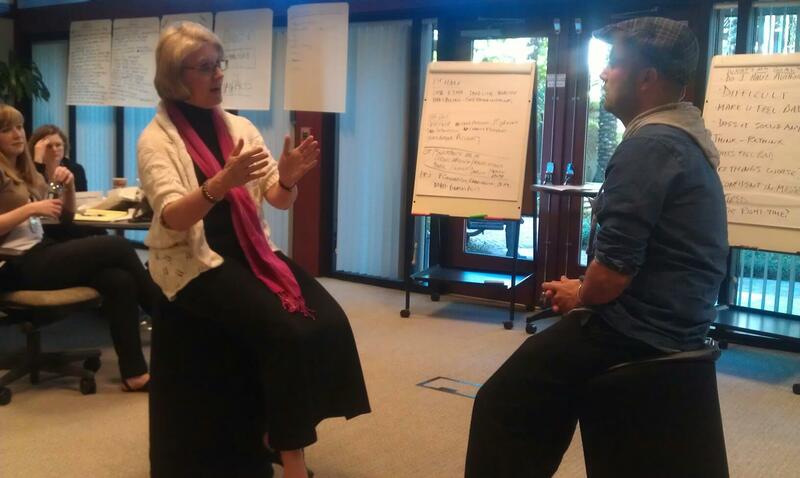 My favored form of management training will always be face-to-face, so it can involve customization and coaching for each participant. I know from evaluations of the many workshops I lead that people truly value the ability to get individualized feedback. But if that's not a reality for you today, feel free to take advantage of the "What Great Bosses Know" podcasts and the book "WORK HAPPY: WHAT GREAT BOSSES KNOW." You can also check out the book's Facebook page, where I curate and share worthwhile readings on leadership and management and update it regularly. What Can Veteran Bosses Learn from the Newest Managers? 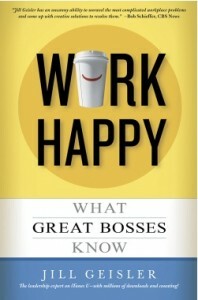 “WORK HAPPY: WHAT GREAT BOSSES KNOW” – An Amazon Best Book of the Month!